Have you ever used the broil setting on your oven? Are you scared to broil food? When it comes to cooking methods, how to broil food is a common question asked in our 5 Dinners in 1 Hour Facebook group. Today we are going delve into this overlooked and often avoided cooking technique. Broiling is a cooking method that uses direct high heat from your oven’s broiler to quickly cook foods like meats and vegetables. Many of you have probably used your broiler for things like toast or to crisp up toppings like cheese and bread crumbs on your dishes, but most people overlook the fact that the broiler is also great for quickly cooking up thin cut meats. So if you have been avoiding your broiler, check out these tips to help you overcome your fear. To properly use your broiler, you need to know where it is! Since it works with direct heat, placing the food right under the broiler is essential. In some ovens, there will be a heating coil or gas element at the top of the oven. Some others have a broiler drawer located as a separate drawer at the bottom of the oven (perhaps you have been storing sheet pans here and you never knew it had another function!). What types of foods work best with the broiler? Since the broiler works much like a grill, nearly anything you would grill can be cooked with the broiler: steaks cook very well with the broiler; chicken, turkey, and even fish can also be cooked with the broiler, as well as vegetables and fruit. When using your broiler for meat, make sure it is a thinner cut. If you have a thick-cut steak, the outside is likely to char before the inside is ready. It is also a good idea to flip the meat halfway through cooking. 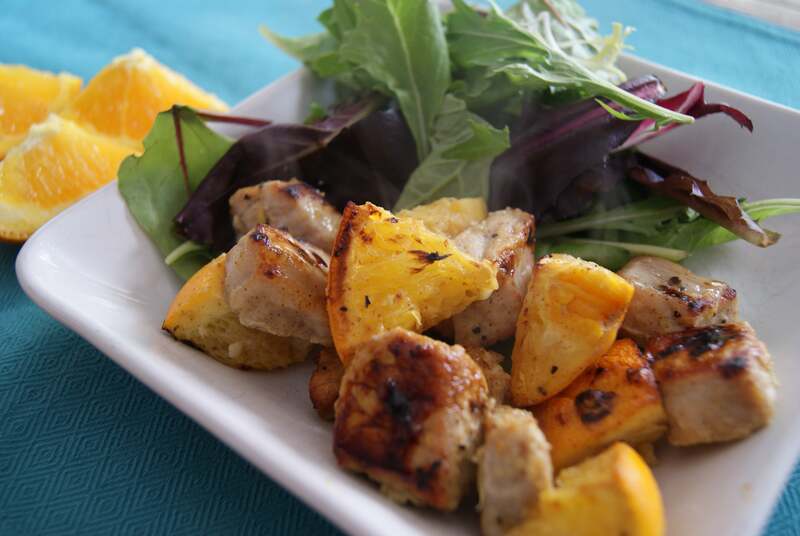 Chicken or steak cut up into bite-sized pieces will cook in a matter of just a few minutes! If you have meat cut up into smaller pieces, it likely does not need to be flipped. When broiling a whole piece of meat, go ahead and give it a flip halfway through. The 5 Dinners in 1 Hour system has some great sheet pan dinners for the broiler that can help you get dinner on the table in just a matter of minutes! Check out this One Pan Orange Pork Bites recipe here. Before you turn on the broiler, set the rack on either the highest or second highest position. On the highest position, the food will cook faster, since it is closest to the burner, so you will need to watch it more closely. The highest position will give the food a better sear on the outside. I personally like to put mine on the second position so I don’t have to watch it quite so closely. Also, don’t forget to keep an eye on your food. Broiling greatly reduces the amount of cooking time, so be sure to stick around to make sure it does not overcook. Some people even like to keep the oven door slightly ajar while using the broiler. Keeping the door slightly open will create an atmosphere closer to that of an outdoor grill – helping to prevent steam, thus keeping a dryer air inside the oven. In fact, some oven broilers will not function without the door being ajar. 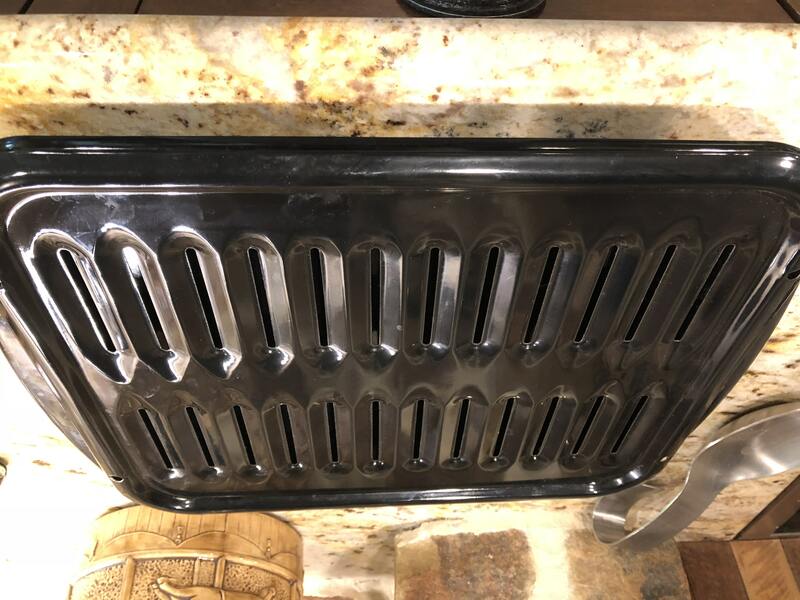 Not only can this keep the inside of the oven from steaming, but it will also help you keep a better eye on your food! Before you get started, set out the food you will be cooking to let it get to room temperature. The closer it is to room temperature, the more evenly it will cook under the broiler. The next tip is to preheat your oven. I know some of you are thinking “Come on. Is it really necessary to preheat the oven?” I promise, it really does make a difference in how your food turns out! For broiling, preheat your oven for about 10 minutes to get that hot air circulating. 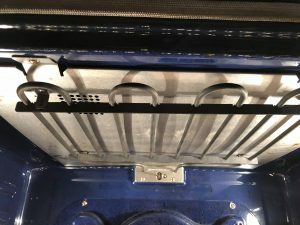 Many new cooks often overlook this step especially when it comes to baking, where it is even more important to preheat. Not only does it skew the cooking time, but putting baked goods, such as bread, in a cold oven can really change the results of the dish. When it comes to using your broiler, you still want the oven to be hot when you pop your food in. As far as settings go, ovens typically either have just an on/off button for the broil setting or a high/low. In general, if your broiler has a high/low setting, use the high setting. What type of pan should I use? Be careful what kind of pan you use to broil food. Do not use glass, as it might break under the extreme heat. 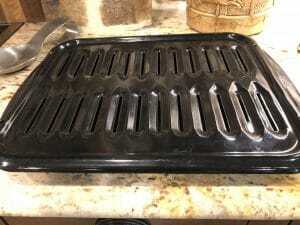 You can use a broiler pan, which has a broiler rack with slits in it, sitting inside of another deeper pan. This type of pan helps the air circulate better, meaning you will not have to flip the meat. You can also accomplish the same thing with a sheet pan and a baking or cooling rack. If using just a plain sheet pan, which will also work just fine, keep in mind that the juice from the meat will have nowhere to go, so your dish might end up with extra liquid in the pan. For a much easier clean up, line your sheet pan with aluminum foil. That high heat can really cause sauces and marinades to hold on to the pan for dear life, especially if there is something like honey or sugar involved in the ingredients. Hopefully with this new-found knowledge about how to broil food, you will feel comfortable giving your broiler a try! Check out the 5 Dinners 1 Hour meal plans here and give one of our recipes for the broiler a try!